Let’s raise a glass (and raise some money) for a great organization! Join us in the taproom for locally-brewed craft beers and a portion of all proceeds will benefit the work of Community Matters as we seek to create a thriving and more just Lower Price Hill with our neighbors. Since April 2016, Rhinegeist, along with Cincinnati Public Radio, has committed to providing an opportunity to local nonprofits for fundraising in the taproom. 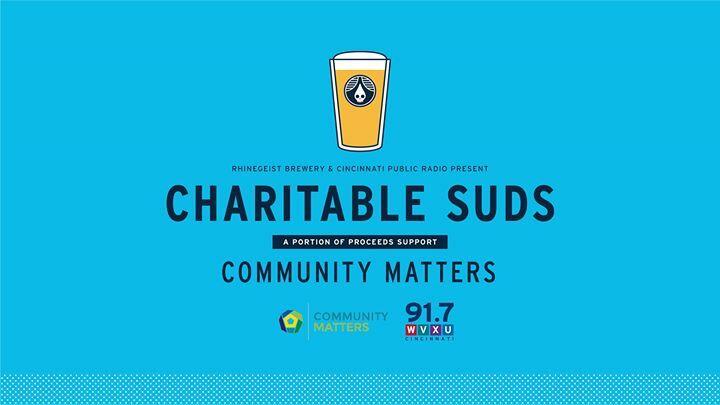 Charitable Suds takes place every Wednesday at the Rhinegeist taproom; from 5-8 p.m. a portion of proceeds will be donated back to that week’s organization.